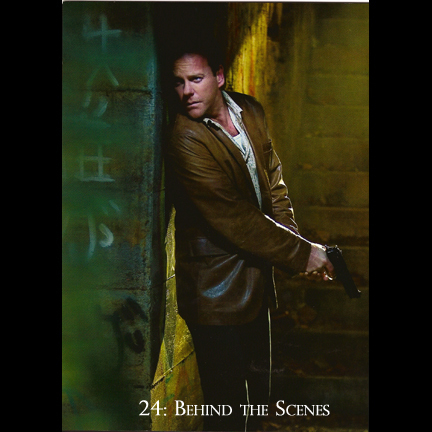 This signature costume change was worn by the character Jack Bauer played by actor Kiefer Sutherland in the third season of the award winning television series “24”, which ran from 2001 to 2010. 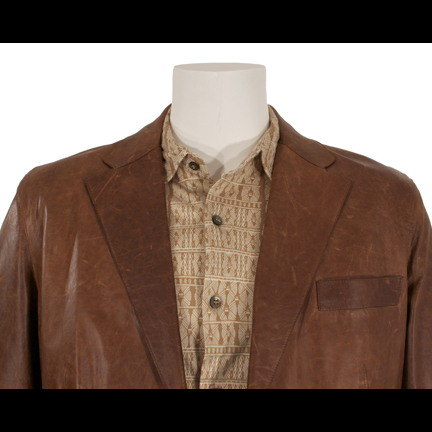 The outfit consists of a brown distressed leather Burberry jacket, a beige patterned short sleeve button front shirt by Kenneth Cole, and a pair of black denim Levi’s Premium jeans. 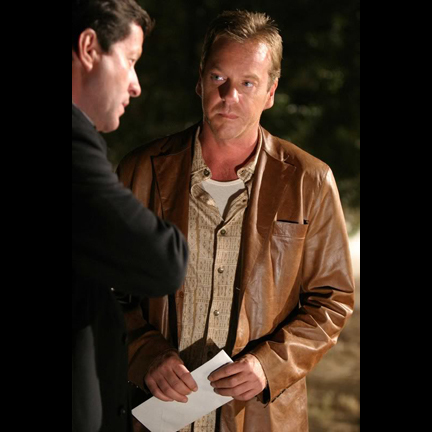 Jack Bauer first appeared wearing this outfit in Episode 8 (“Day 3: 8:00pm -9:00pm”) after he changes clothes upon arriving at the Salazar compound, and then wore the costume in subsequent episodes before briefly removing the jacket in Episode 14 (“Day 3: 2:00am – 3:00am”) when he is forced to have his blood drawn at the offices of the Counter Terrorist Unit (CTU). 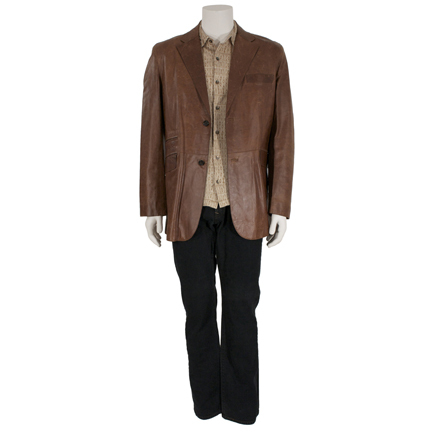 He continued to wear the complete ensemble until the beginning of Episode 15 (“Day 3: 3:00am – 4:00am”) when he eventually changes clothes again in his office. 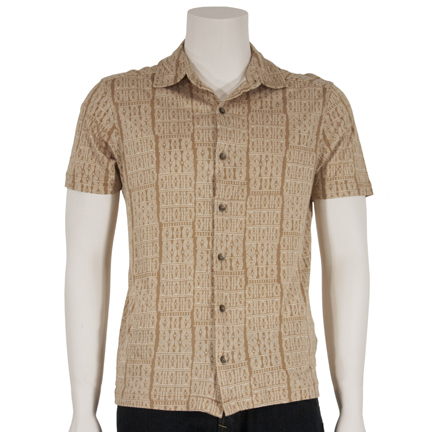 An image of Mr. Sutherland wearing this wardrobe can also be seen in the book “24: Behind The Scenes”. 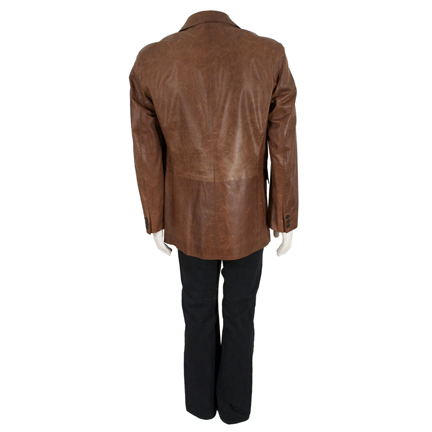 This signature costume from Season 3 is in very good screen worn condition and is accompanied by a letter of authenticity.